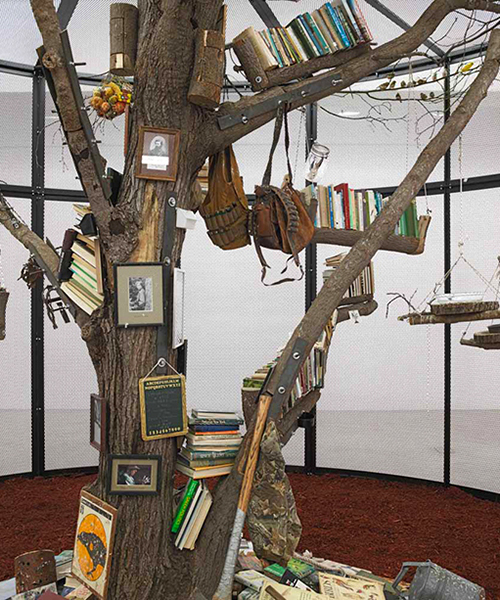 in the downstairs exhibition space of new york’s tanya bonakdar gallery, artist mark dion invites viewers to experience the large-scale immersive installation, ‘the library for the birds of new york’. 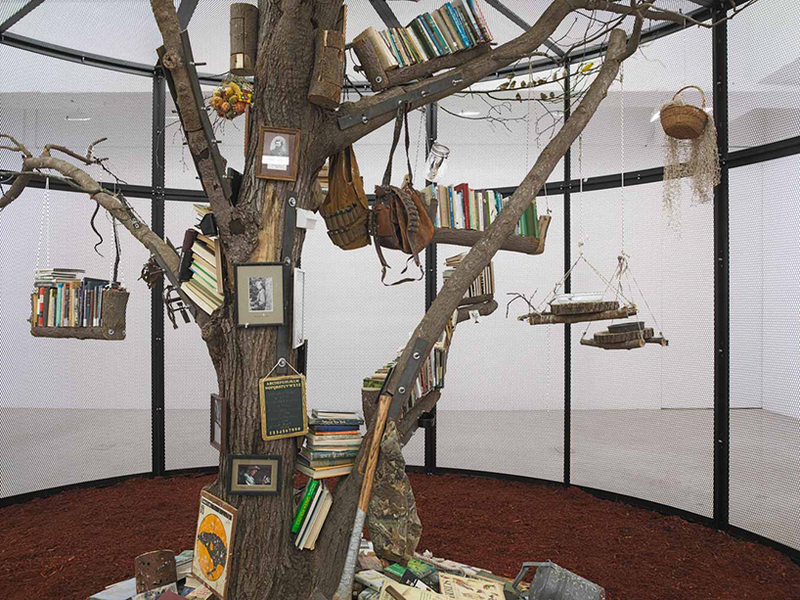 in it, 22 live birds inhabit a circular chamber filled with books, photographs, artifacts and objects — all related to ornithology, and sourced from popular culture, art history, and film. 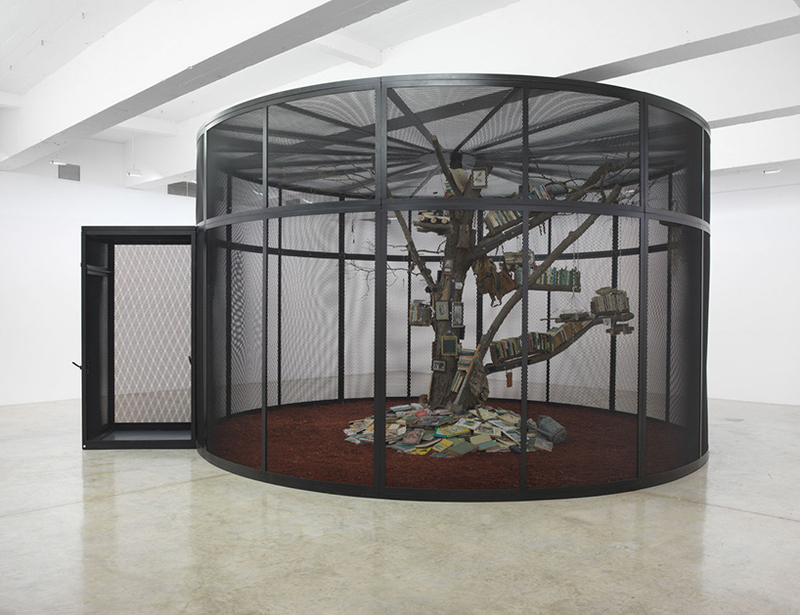 also inside is an 11 foot high white oak, symbolizing important philosophical and scientific ideas, such as the tree of life, the tree of knowledge, and the evolutionary tree. ‘the library for the birds of new york’ also includes ephemera related to the capture of live animals — such as cages and traps — referencing the hunt and trade of exotic birds. 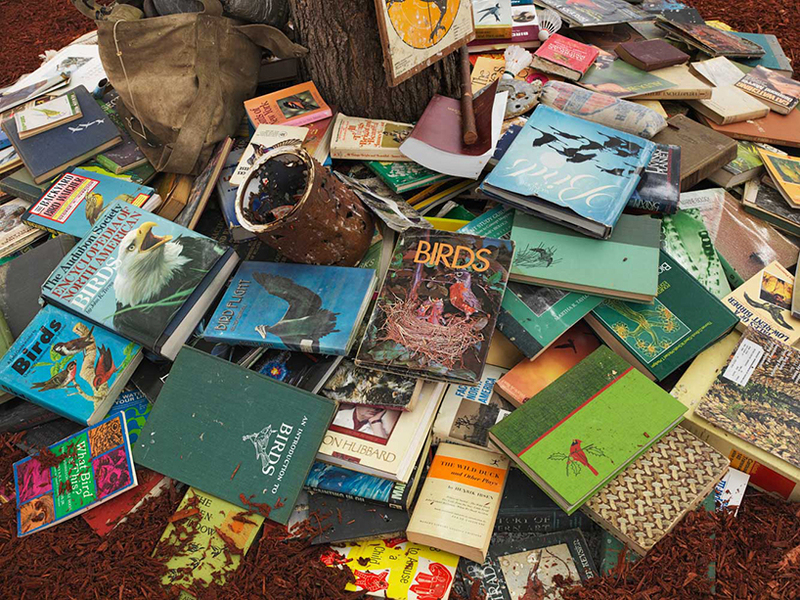 as a longtime environmentalist, dion’s work recognizes the repercussions of human impulse to dominate nature. 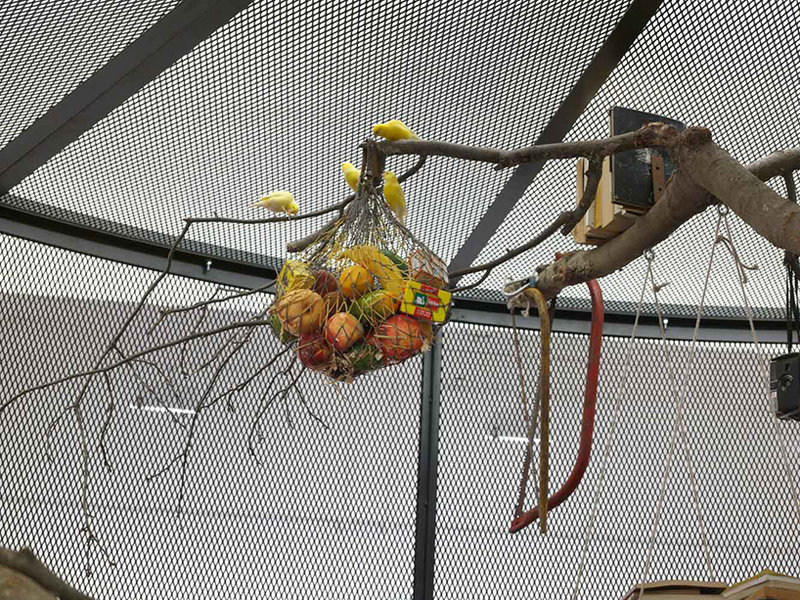 other imagery acts as a metaphor for death, extinction, and the classification of birds as pests or vermin. these historical groupings are juxtaposed by a subtle suggestion — that birds possess knowledge outside of the human experience. 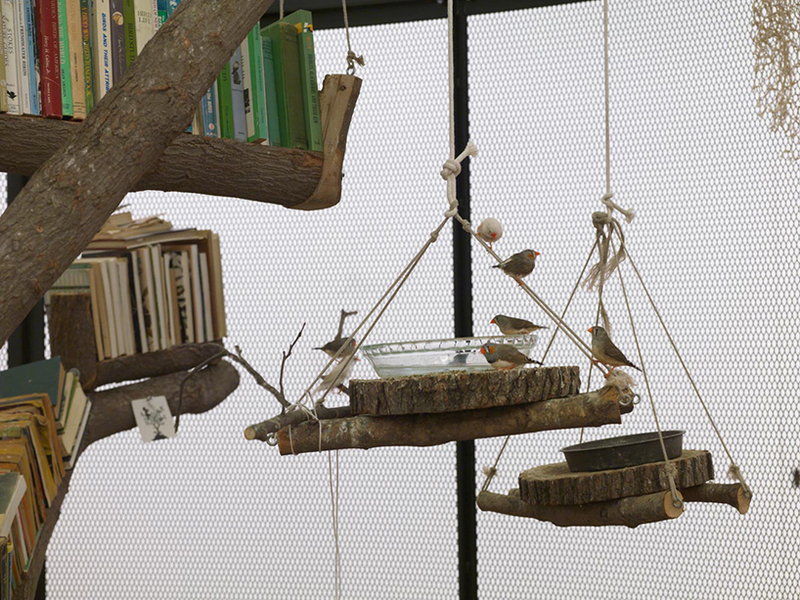 the animals in flight are clearly uninterested in the objects at their disposal, underscoring the absurdity of the installation’s purpose — a manmade library for birds, which intends to educate them in subjects such as geography and the natural world, of which they inherently have full command.